It is still Monday for me here in Seattle and I’m done! One kid sick at home, two doctor appointments, one Costco trip, dinner ready and I’m ready to hit my bed! But I have a sweet craving, and sugar is my downfall. Who could you give this card to? Everyone loves cupcakes right? 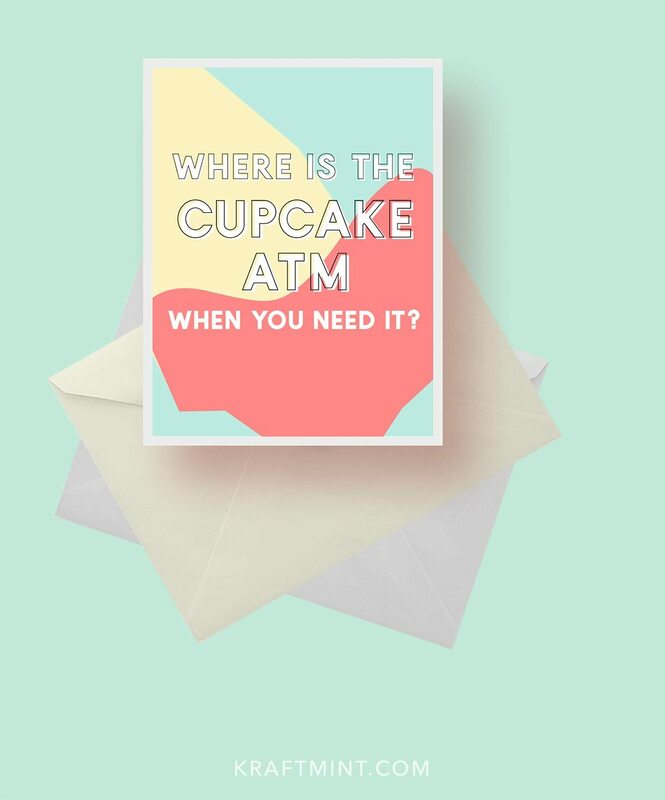 Download “Where is the cupcake atm when you need it? here. Available for download until March 29th 1:00 pm Pacific Standard Time.